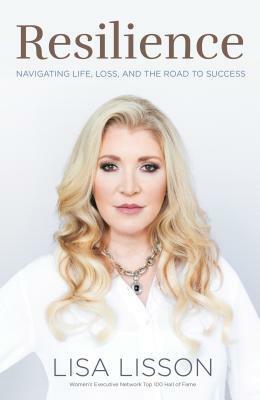 From Goodreads ~ Lisa Lisson’s life seemed perfect: she had married her high school sweetheart, applied her marketing degree to a position at FedEx Express Canada and risen to become a vice president (and would ultimately become president) of the company. One night, after putting their four children to bed, her husband, Patrick, marvelled that their lives seemed perfectly happy. One moment Lisa was sleeping beside Patrick and the next, she was kneeling on the floor beside his unconscious body frantically administering CPR. Patrick had had a massive heart attack and was in a coma, and the doctors were blunt: there was no hope. But for the next two years, Lisa stood by his side and awaited a miracle, while continuing to balance life as a high-powered executive and mother of four. Part leadership guide, part memoir of loss and part personal empowerment primer on how to achieve your goals no matter what the universe throws at you, "Resilience" is an inspirational story about how to rise to the top in a man’s world, triumph over adversity, lead a fulfilling life, and live each day with purpose and gratitude. Lisa and Pat met in high school and eventually got married. They had four children, both had successful careers and they had a nice life. Twelve years ago Lisa woke up to find Pat unconscious on their bedroom floor. He'd had a massive heart attack (in his late thirties) and ended up in a coma. Lisa hoped for a miracle that he would wake up but eventually had to give up (and respect his wishes) when the doctors said there was no hope. She was finally ready to let him go and he passed away two years after he'd had his heart attack. In the meantime, Lisa had their four children to take care of plus her career was on the rise at FedEx Canada (she is currently president). This book is the story of her life with and after Pat. Plus it's full of lessons she has learned and taught others about getting and maintaining the job and/or career you want and being an effective leader. Lisa sounds extremely organized and detailed-oriented ... for example, she keeps a list of the goals she wants to accomplish, in addition to master lists of things she has to take care of (one for work and another for her kids and house). I found Lisa's story tragic but inspiring and it was an interesting book to read. With all that was going on with dealing with her husband being in a coma and having to make the decision to let him go, she still had a family to take care of and a job to do. Along the way, she learned some important life lessons. Before I came across this book, I hadn't heard of her but now I wish her well.